The building occupies most of a block bound in the Northwest District by NW 16th Ave, Northrup St, 17th Ave and Overton St. It was most recently home to Rose City Awning & Flag, who have now relocated to the Northwest Industrial Area. 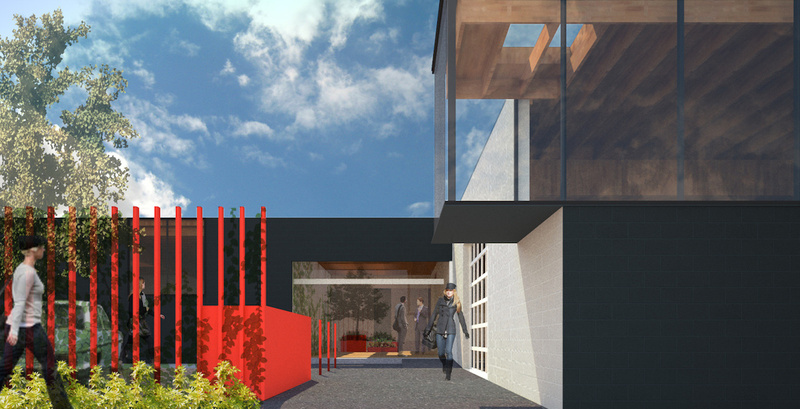 An existing parking area at the corner of NW Northrup St and NW 16th Ave will be enclosed by a new fence comprised of 4×2 HSS steel tubes painted red. New plantings at the parking area and in the sidewalk will include Zelkova and Ginkgo biloba trees, as well as Bearberry and passionflower. 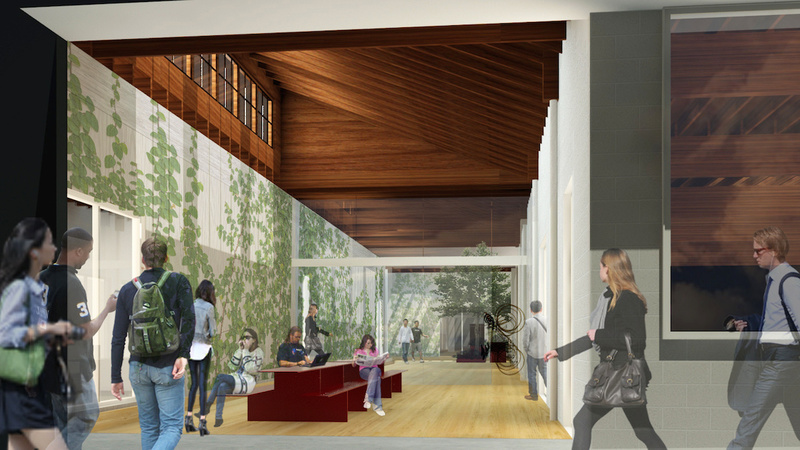 The landscaping is carried through into the lobby, where large planters are shown beneath the exposed sawtooth roof. 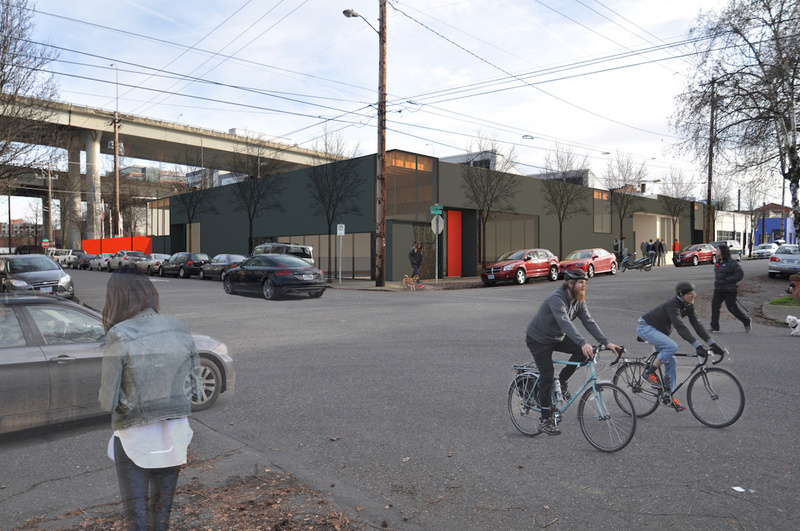 The proposed renovation of the existing warehouse and conversion into office space maintains the industrial character of the district whiles simultaneously breaking down the large scale of the building relative to others in the district. New windows and storefronts on all sides of the building increase not only building transparency but help bring life to the street with new building entries and by showcasing the active uses occurring inside. 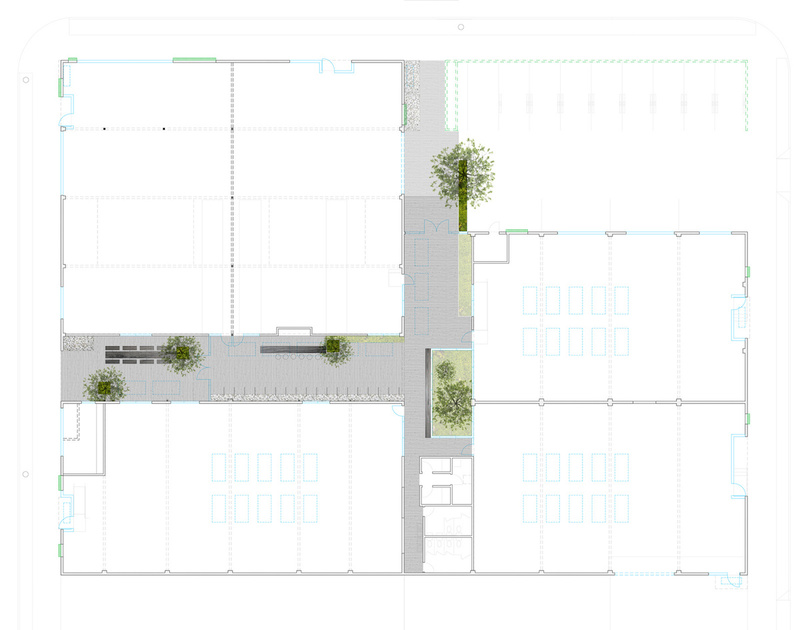 The minimalist detailing, thoughtful interplay of new building penetrations, and new projecting clerestory bays create a composition that reinvigorates and contemporizes the old warehouse. 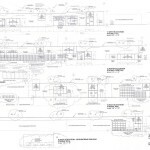 All told, the proposed design meets the criteria specified in the Community Design Guidelines. A building permit for the project is under review. 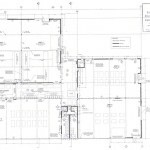 This entry was posted in Beebe Skidmore, Melvin Mark Companies, Northwest, Project^, Swift Headquarters. Bookmark the permalink.